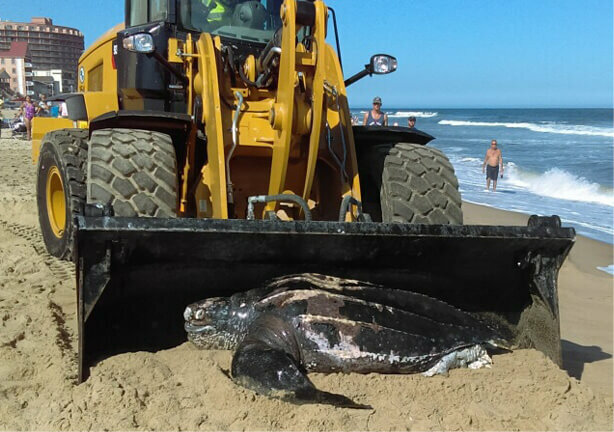 In Maryland call 800-628-9944 to report all (live or dead) stranded sea turtles or marine mammals (including manatees, dolphins, whales, porpoise and seals). Do not touch, harass, feed or handle live or dead marine animals. Marine mammals and sea turtles are protected by federal and state laws that specify fines of up to $50,000, imprisonment, and/or vessel confiscation. Record your location using latitude/longitude, and a detailed description of your location including landmarks. Estimate and note the length, size, color, noticeable body parts, and any movement of the animal. Take photos of the animal.